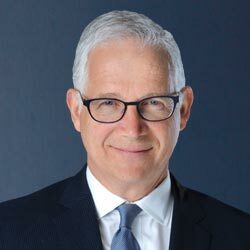 David Sanford is a Founding and Managing Partner of Sanford Heisler Sharp, LLP, a national law firm with offices in Washington, D.C., New York and California. He received his law degree from Stanford Law School in 1995. Mr. Sanford is AV-rated by Martindale-Hubbell, which is the highest rating given to an attorney by judges and attorneys throughout the United States. Mr. Sanford served as Lead Counsel representing over 6000 female employees in Velez v. Novartis. The presiding federal judge described the case as having been “brilliantly tried.” After a seven-week trial, SWH secured the largest employment verdict ($253 million) in United States history. SWH obtained a court-approved settlement of $175 million on behalf of the class that the judge described as “extraordinary” and “one of a kind.” The United Nations has recognized the Novartis case as among the top 10 cases in the world advancing women’s rights, and is the only case from the United States so recognized by the UN. In July 2011, Mr. Sanford gave an address on women’s rights at the United Nations. Mr. Sanford sits on the editorial board of Employment 360, as well as the board of the Neighborhood Defender Services of Harlem. He has appeared on most major television networks and cable news shows, including “Good Morning America,” “NBC News with Brian Williams,” “20/20,” FOX News, MSNBC, CNN, NPR, and Voice of America. Recently, Mr. Sanford appeared on the Forbes Radio Channel in a “Special Tribute to America’s Best Lawyers.” Mr. Sanford served as a law clerk for the Honorable Gladys Kessler of the United States District Court for the District of Columbia; as a law clerk in the White House Counsel’s Office under President Clinton; and as a summer law clerk for the Honorable Dorothy Nelson of the United States Court of Appeals for the Ninth Circuit in Pasadena, California. Before law school, Mr. Sanford was a professor of philosophy at Williams College, and taught at UNC-Chapel Hill and Oberlin College as well.